Call (603) 818-2007 for details. David Ortiz is a former designated Hitter who played for the Boston Red Sox from 2003 until 2016. Born in the Dominican Republic, he was a member of 2004 World Series Championship Team. Previously, Ortiz played for the Minnesota Twins (1997-2002). Nicknamed “Big Papi”, Ortiz is a five-time All-Star and holds the Red Sox single-season record for home runs with 54, set during the 2006 season. In 2004, Ortiz played a major role in leading the Red Sox to their first World Series championship in 86 years. PFP Sports & Celebrity Talent Agency is a top booking agent for motivational sports speakers and celebrities. 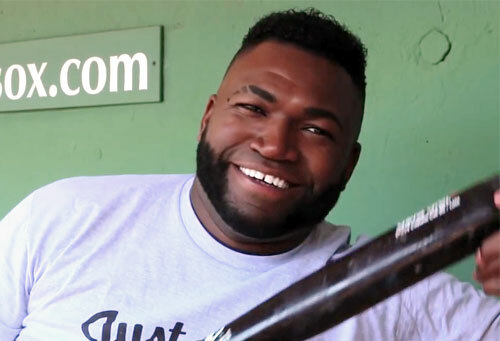 If you would like to book MLB stars like David Ortiz for a speaking engagement, personal appearance or special event, you can request David Ortiz agent and speaker information from PFP Sports & Celebrity Talent or call 800.966.1380.